Espionage or spying involves an individual obtaining information that is considered secret or confidential without the permission of the holder of the information. 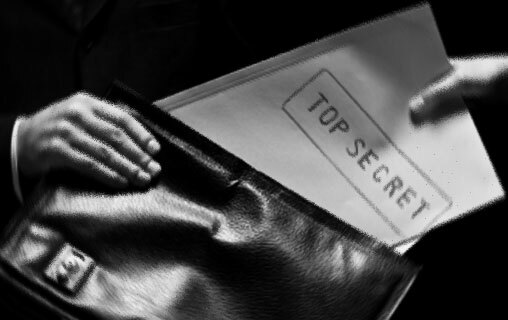 Espionage is inherently clandestine, as the legitimate holder of the information may change plans or take other countermeasures once it is known that the information is in unauthorized hands. For example, corporate espionage involves one company or corporation spying on the business activities of another, usually one of their competitors. The corporate espionage usually occurs in the form of infiltration via employment. A “corporate spy” gets a job with the target company and then secretly gathers information and data, then feeds it back to the original company. Espionage or spying involves an individual obtaining information that is considered secret or confidential without the permission of the holder of the information. Espionage is inherently clandestine; as the legitimate holder of the information may change plans or take other countermeasures once it is known that the information is in unauthorized hands. Espionage is different from intelligence gathering. Often the government or commercial company conducts this institutional spying effort. There’re various types of spying as well. Normally, espionage is used when a state starts spying on actual enemies that may become national threat and it’s made for military reasons. Spying that involves corporations are directed as industrial espionage. One of the best ways to collect data and information of the potential enemy is to infiltrate their enemy ranks. Any reputed espionage agent or spy can do it. Also there’re lots of detection agencies both governmental and corporate ones who supply the finest spies to formulate the criminal cases. These spies can collect all kinds of information regarding the strength or size of the enemy army. They can trace their internal movements while finding the dissidents among the enemy comrades and motivate them to defect. In times of serious situations, the spies can be used to steal enemy technology or use it against them. Counter Intelligence program feeds the enemy protocols with misleading data while protecting the domestic important issues. Every country conducts strict laws against spying and consider serious penalty for getting caught in the act. But, the advantages of using a spy are so greater that the government or espionage take the risk to make use of the data they can collect. Check out the spy equipment used to conduct spying and espionage.